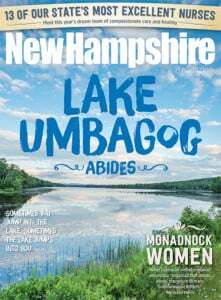 From gorgeous flower arrangements to quality pet care you can trust, the 2015 Best of NH Shops and Services list has what you need. From Editor’s Pick Apotheca Flowers & Tea Chest in Goffstown. 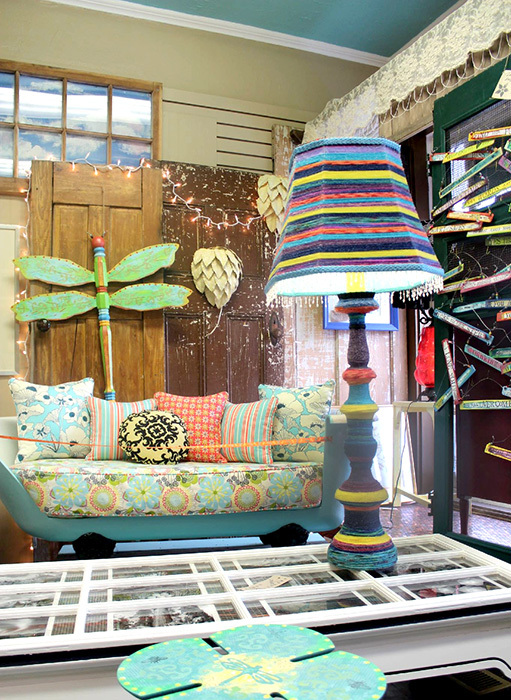 At Editor’s Pick Arthou UpCycled Goods in Concord. 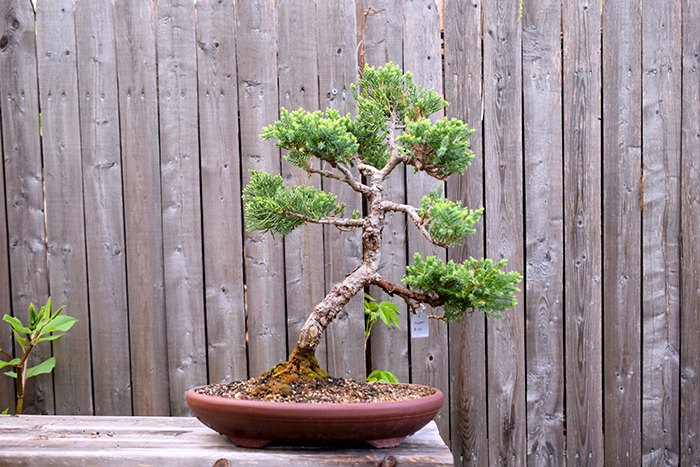 From Editor’s Pick Mr. B’s Bonsai Garden in Claremont. Editor’s Pick Pickwick’s Mercantile in Portsmouth. From Editor’s Pick YoYo Heaven in Concord. Editor’s Pick The Little Herb Shoppe in Littleton. From left: Editor's Picks Arthou UpCycled Goods (New Upcycle Shop), Mr. B's Bonsai Garden (Bonsai Garden Shop), The Littleton Herb Shoppe (Herb Shop) and Apotheca Flowers & Tea Chest (Florist Shop). Awesome Guitars: Guitars helped to define “cool,” but the basic design hasn’t changed much since the dawn of rock ‘n’ roll. New Boston’s Ridgewing Guitars offer what looks like a quantum leap. Their modular form of construction uses carbon fiber, wood and composites to provide acoustic range in a futuristic package that allows for customization, automatic self-tuning, and quick and easy disassembly for travel. It really has to be seen (and heard) to be believed. 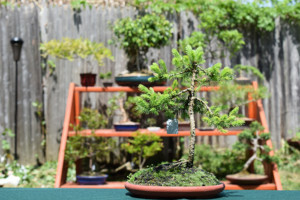 Bonsai Garden Shop: If you enjoy the challenge (and pleasure) of a bonsai tree, Mr. B’s Bonsai Garden in Claremont is the place to go. 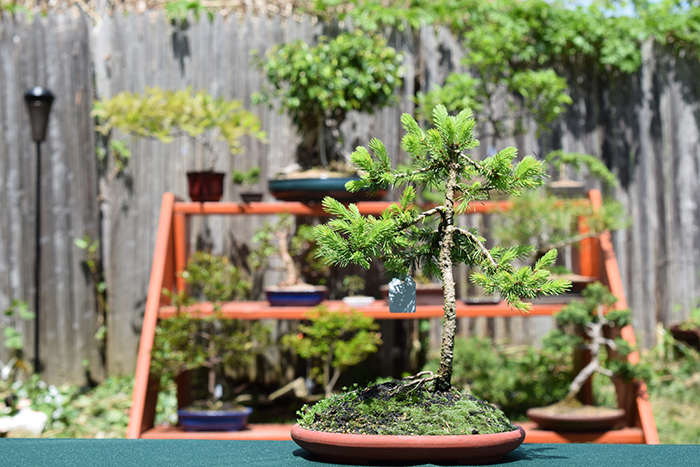 He has a wide variety of affordable trees available, plus a choice of pots and all the supplies you’ll need. Not sure how to get started or have a problem with a tree? Mr. B is there to assist. Check out the photos on his Facebook page. Celtic Goods: For a relatively small shop, Celtic Crossing in Portsmouth has a huge range of Irish, Scottish and Welsh products from kilts and flasks to instruments and jewelry. The owners, who live in nearby Dover, also make an effort to stay involved with the community and support the annual St. Baldrick’s Foundation benefit, Celtic Fest (see page 69 for more on this) held in Manchester. Florist Shop: As the name suggests, Apotheca Flowers & Tea Chest in Goffstown is more than a place to pick up a bouquet. In addition to the lovely and creative flower arrangements they create for all occasions, this charming little shop, housed in an 1860s train depot, offers a well-curated selection of home décor, garden and gift items and is a great place to sit with a pastry and a cup of tea. 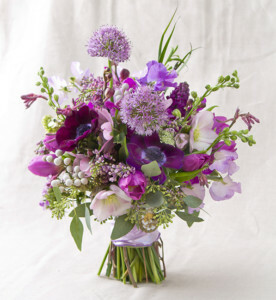 Fun Florist: Beautiful flowers and creative bouquets are just the tip of the tulip at Dutch Bloemen Winkel in Jackson village. Also find reasonably priced gifts, cards and other fun flower accoutrements for gardens indoor and out. 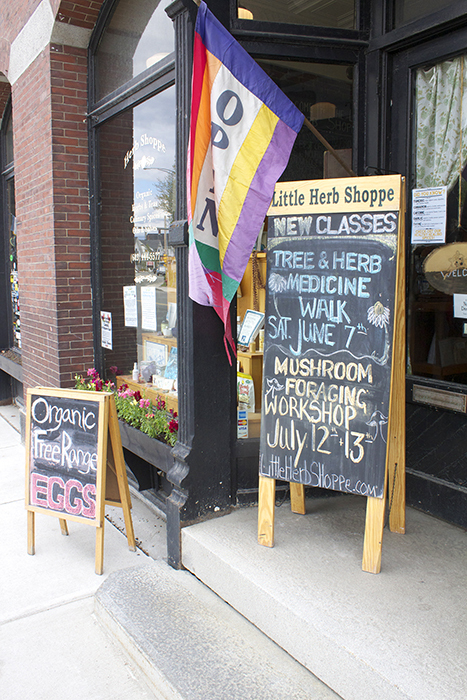 Herb Shop: The aim of The Little Herb Shoppe in Littleton is to empower people to reconnect with health, naturally — with 100 percent organic herbs and teas (immuni-tea, adrenal support tea and focused child tea among them) along with tinctures, oils and body care products. 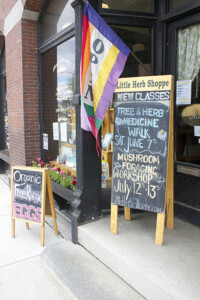 You can sign up for classes and workshops like the recent “Tree and Herbal Medicine Walk.” Also provided — guidance on being herbal consumers who demand that manufacturers toe the line on purity, ethics and sustainability. “Laid-back” Shop: Just because you need an outfit and you need it in an hour, there’s no reason to flip out. Chill. At Indigo Blues & Co. in Hopkinton you’ll find the latest fashion in jeans, comfy tops, flirty skirts, casual dresses, jewelry, belts and more. 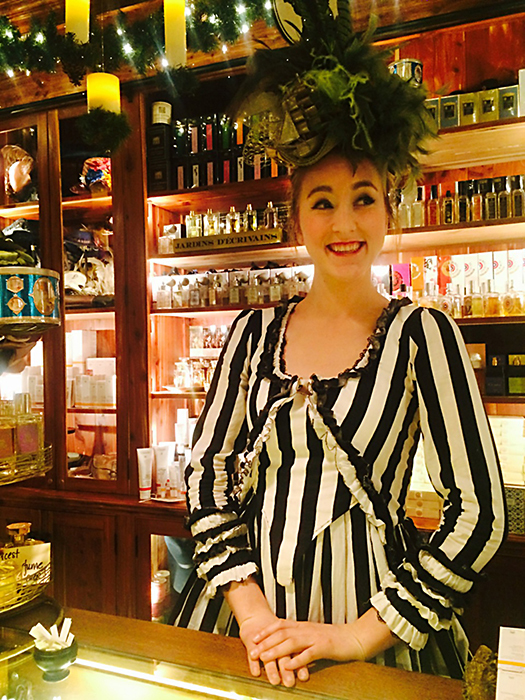 This boutique is about finding a great look without pressure or intimidation. Friday is “wine-down” day and that means party with the owner, staff and friendly regulars. You’ll leave here with an outfit and a new list of people to “friend” on Facebook. Picturesque Farm Stand: This place is so pretty, there is usually a guy there with an easel and paintbrush. Bring your camera to capture the seasons as the flower gardens bloom and the vegetable gardens rush to harvest. Muster Field Farm in Sutton is also part historic preservation with several beautiful unpainted barns sporting a gorgeous gray patina. The original homestead is open for tours on Sundays all summer. 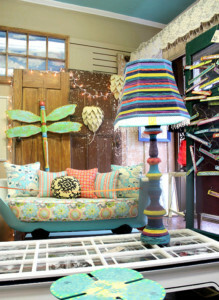 New Upcycle-Recycle Shop: Walk into Arthou UpCycled Goods in Concord and be covered in fairy dust. Each item in here was once something else and the way it is being uniquely reused is magical. This furniture and home décor boutique features a 1968 pinball machine transformed into a coffee table, a claw-footed tub that’s now a couch, a reupholstered old chair from a 1970s “beauty shop” and more. 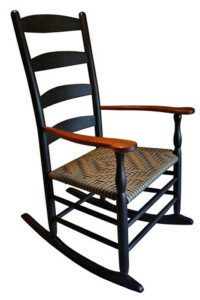 Prices here are ridiculously low considering you are getting a one of a kind piece of art. The creativity and imagination in everything here is all-inspiring. Running Shop: If you’re a runner, you are already familiar with Runners Alley in Manchester, Concord and Portsmouth. This is where serious runners come when they need the perfect shoe for running races from 5ks to ultra marathons. The staff here personally helps you get the right shoe for the kind of running you do. You’ll find running shorts, tops, vests, water bottles and anything you need for running. But that’s not all. This is a gathering place for local runners of all ages and experience who meet once or twice a week for group runs. Seafood CSF: “Remember to pick up your fish” is the e-mail reminder from New Hampshire Community Seafood in Portsmouth each week during the session that runs through December. They deliver fresh, locally caught fish across the southern tier of the state from Portsmouth to Peterborough to Nashua to Laconia and other pick-up points in between. Slot Car Enthusiast Shop: Co-owners Dickie Pearson and Steve Sawtelle are having slots of fun at their downtown Penacook hobby store Slot Car Corner, which is nirvana for enthusiasts of the 1:32 models of real cars who get to race them without the threat of mangled metal or bodily injury. Basement, club and proxy racers like to customize their high-performance cars to the max, and every part or any accessory can be found in stock or at the online store. Even better, racers can get information on how to best to capture the checkered flag from Pearson, a four-time world record holder for distance traveled by his remote-controlled car in 24 hours. Themed Catering: Rubbin’ Butts BBQ, part of the Magic Foods Group that includes Canoe and O Steaks & Seafood, is the place to call when you want to throw a casual, themed dinner. They offer a traditional New England Clam Bake, Texas Style BBQ or Ultimate Smokin’ BBQ cooked onsite with their smoker, the steak-focused Cattleman’s Dream or, if you’re looking to take your game up a notch, choose the Tailgate Party. Unique Shop: You’ve heard the term “shopping experience,” right? Well, entering Pickwick’s Mercantile in Portsmouth is that on steroids. 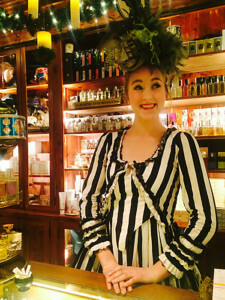 The costumed owner, who calls herself “Proprietress Rita,” says their aim is to give customers a real production, with backstage, main stage and characters. After all, she adds, you’re not just buying perfume, “you’re buying a scent inspired by the idea of a snowy Russian sleigh ride.” It’s the same scene with all of their products — clothing, home décor, candles, books, toys, candy and more. Vinyl Store: Skele-tone Records is a store with a mission to enlighten and expand the consciousness of the average music lover. The Rochester shop somehow blends a comforting (to shoppers) sense of order with a deep punk vibe. With the largest collection in the tri-state area, if you’re seeking vinyl ska from the ’70s, one-hit wonders, outsider oddities or classic rock, you’ll never leave empty-handed. There’s also lots of music-related fashion on display from concert Ts to New Wave shoes (and, if you can dig it, GG Allin patches). Yoga Retreat: Bethel Farm Yoga and Living Arts Center in Hillsborough is not your typical yoga retreat. Yogic philosophy permeates the facilities and gardens (which provide in-season vegetarian meals), and although beginners are welcomed, their staff and visiting facilitators teach teachers from other centers. Bethel Farm provides the kind of complete immersion that is needed for sadhana (daily practice) that leads to genuine spiritual attainment and transformation. Yo-Yo Shop: Yo-Yo means “come-come” in Filipino and now that this 2,500-year-old low-tech toy is trendy again, anyone coming through the front door of YoYo Heaven in Concord can learn to play. The father-and-son ownership team of Andy and Dan McBride will teach the ups and downs of the game and demonstrate any of the more than 1,000 yo-yos in stock. 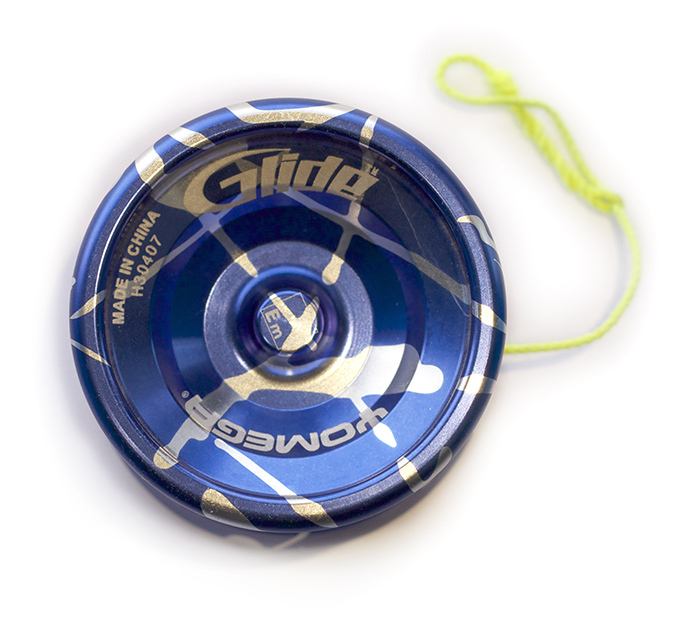 Prices for a single yo-yo range from $5 to over $200, but a nifty Concord signature one, with an image of the Statehouse’s golden dome on one side and an inscription about Concord on the other, can be had for $6.95 and might be the perfect presidential candidate souvenir.